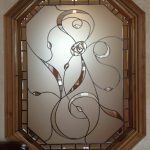 NOTE: We do not give out general advice regarding safety glass locations unless you are buying decorative glass from us. Please do not call us seeking general advice regarding safety glass. Safety Glass Regulations cover what types of glass can be installed into windows, doors and other glazing locations. 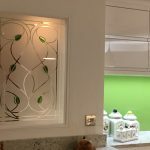 Here is our guide to help you understand where you must look to install the correct safety glass to your home or business. 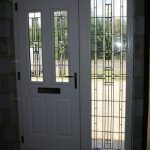 Safety glass should be fitted in all doors and other windows or glazed areas that are lower than 800mm from the floor level. 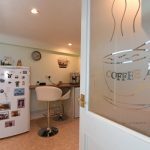 Glass panels less than 250mm wide can be fitted with 6mm glass or laminated glass instead of toughened glass. 3. Low Level Glazing – Not covered in (1) OR (2) ABOVE – Other glazing that is wholly or partially within 800mm from floor level. This means that windows that are not located within 300mm of a door must use safety glass if the bottom of the glazing is within 800mm of the floor level. 1. Break safely, if it breaks, i.e. 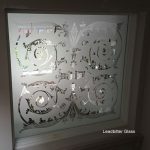 laminated or toughened Class C safety glass complying with BS6206. Or if it is installed in a door or in door side panels and has a width or height exceeding 900mm it should be Class B of BS 6206. These requirements do tend to change and it may also be stamped with an EN number. • Ordinary wired glass is not safety glass. 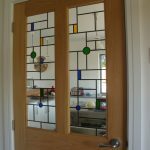 • For double-glazed sealed units, the rules apply to both pieces of glass. • All safety glazing should be permanently marked in accordance with BS6206. 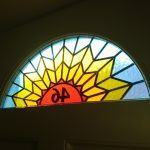 The markings should be still visible after the glass has been fitted and the beading and pointing has been completed. The most common form of safety glass (and the lowest cost) is 4mm toughened glass. 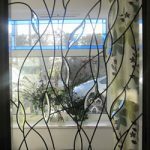 This glass is used for almost all residential safety glazing and 4mm toughened comes in a large range of obscure patterns as well as the energy saving glass – Pilkington K glass. 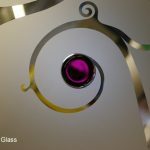 Normal glass (annealed) can also be used as a safety glass in some instances as long as the glass is thick enough. 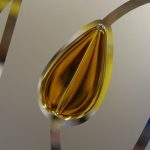 As an example 6mm annealed glass can be used in doors up to a glazing width of 250mm but must not exceed 0.5sq.metre in area. 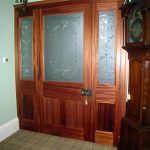 The tips and advice on this page are just a helpful insight in to the selection of safety glass glazing. 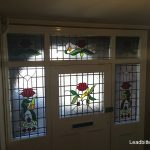 Leadbitter Glass does not accept any responsibility if you are injured or suffer loss – financial or otherwise by following our tips, advice or information on this page. To be 100% sure of the of the correct type of glass required for your project, contact your local building regulations department to obtain the most up to date and correct information regarding safety glass.